Dr. Schiaffino is a bilingual, bi-cultural health services researcher and epidemiologist specializing in health disparities as they relate to population health, health services delivery, and quality outcomes. She earned her PhD in health services research at the University of Florida (2014) where she studied the role of social-spatial context on disparities in the delivery of language services in hospitals where she developed a novel method to assess hospital service areas at a finer neighborhood-like scale than the usual larger scales used by hospitals. She also holds an MPH in Epidemiology with a focus on HPV and cancer epidemiology from the University of South Florida (2008). Her research areas of interest are health system disparities, social-spatial context, and the role of care fragmentation on the delivery of quality cancer care. Dr. Schiaffino’s goal is to develop statistical and computational models that can predict risk of cancer treatment toxicity among older adults with limited English proficiency (LEP). She hopes to identify intervention points to improve outcomes for this population. She is currently studying patient-provider networks to visualize and assess care delivery fragmentation and its effect on timely access to colorectal cancer care using massive administrative data to building these preliminary models. She approaches these questions by inegrating data only available in diverse formats to consider organizational and spatial perspectives, as well as population factors to ensure cultural competence and patient-provider context. 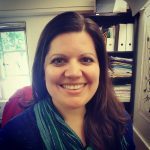 Her work is informed by cross-disciplinary theories including organizational, network, and geography theory as well as systems science. Dr. Schiaffino’s work has been published in high-impact journals including Health Affairs and the Journal of Infectious Diseases and she has presented at the National Institutes of Health (NIH). She is interested in collaborations both nationally and internationally, some organizations include the Association for the Advancement of Science (AAAS), Universidad Autónoma de México (UNAM), and Instituto Nacional de Salud Pública (INSP). Dr. Schiaffino is also an Associate Member of Moores Cancer Center at UCSD and a visiting researcher in Radiation Oncology in Dr. Murphy’s Lab.  In 2017 Dr. Schiaffino started mentoring students for SDSU’s Faculty-Student Mentoring Program and is always looking for students interested in research from all fields especially public health, geography, MIS, statistics, sociology, computer science, and nursing. Visit healthcare.sdsu.edu for more information. For an up to date publications list see ResearchGate or Google Scholar.